Needing little explanation, this is simply traditional toppings like tomato, cheese and pepperoni placed on a toasted bagel. 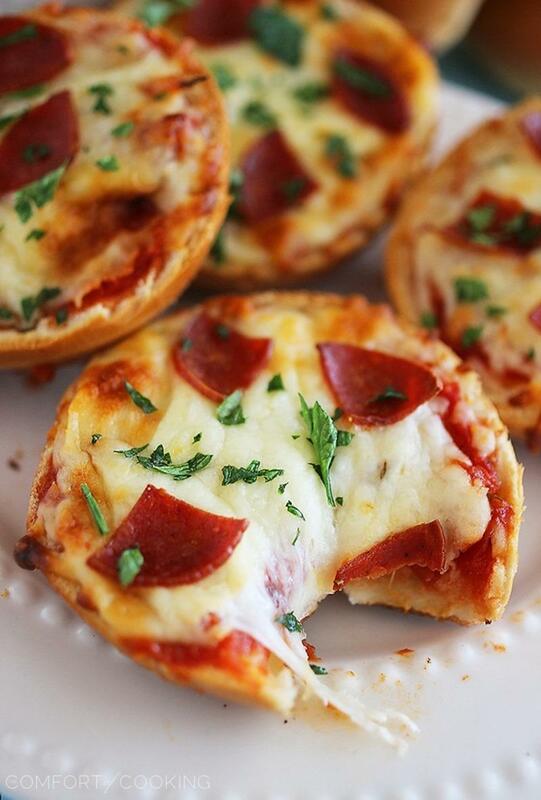 The beauty of the pizza bagel is that you can eat it anytime as it’s a bagel! Breakfast, lunch, dinner and snack time. Whilst you can eat pizza anytime – it might not be quite as acceptable to society as eating a bagel for breakfast. This variety of pizza is often served as a single slice and offered wood-fired for taste. The Californian reference has nothing to do with the dough base but refers to the type of toppings. In the 198-s, a San Francisco chef started experimenting with Californian cuisine in a pizza form. Now the Californian is famous for containing ingredients such as peppers, mustard, pate and smoked salmon, bringing pizza into the arena of haute cuisine. This might be a more familiar pizza variety and is the heartiest of all pizzas. The home of this deep pizza is Chicago, where high-sided pans are used to create a deep crust. These pizzas come with an astonishing amount of cheese and other toppings, including sauce, spices and parmesan. Most of us will be familiar with the French bread pizza and it’s been a staple of students’ diets for a long time. Quite simply but beautifully, it consists of the normal pizza toppings placed on top of a toasted French baguette. Cooked in the oven until bubbling and crispy, it’s a firm favourite that did not originate in France. It is thought the French bread pizza was developed in the 1960s when a well-known pizza man, introduced the ‘poor man’s pizza’ from a food truck on the University campus of Cornell in New York. The truck was so popular that it was run by Bob Petrillose for over 40 years.